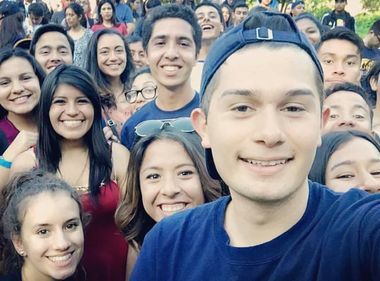 Edison Scholar Toluwanimi Salako (center, bottom) with some classmates at the University of California, Irvine. The clock is ticking for students to apply for the Edison Scholars Program by the Feb. 1 deadline. “As a high school senior applying for colleges, I realized I was writing all these essays I could use for scholarship applications,” said Ryan Nyberg, 20, reflecting on his final year at Aliso Niguel High School in the Capistrano Unified School District. 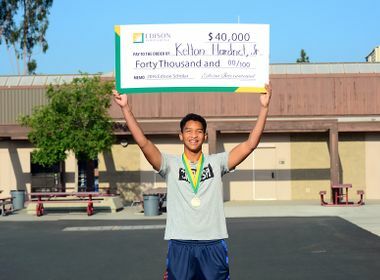 Several months after cranking out a pretty good essay on boat turbines for the Edison Scholars application, he and his family were in tears when they found out he was one of 30 students to receive a $40,000 Edison Scholars scholarship for undergraduate study in STEM (science, technology, engineering or math). “Being an Edison Scholar gave me an opportunity to expand my perimeters,” Nyberg said, urging current high school seniors to apply by the Feb. 1 deadline. Now a sophomore at the University of California, Santa Cruz, he’s having a blast making new friends, playing on the soccer team and exploring the career options open to him while learning about earth science with an emphasis in oceanography. To be eligible for an Edison Scholars scholarship, students must have a minimum 3.0 GPA, demonstrate financial need and live in or attend high school in Southern California Edison’s service area or attend an eligible high school in the designated area surrounding the San Onofre nuclear plant. They also must plan to be a full-time undergraduate student majoring in one of the following STEM fields: mathematics, engineering, computer and information services, management information systems, natural resources and conservation and physical sciences. 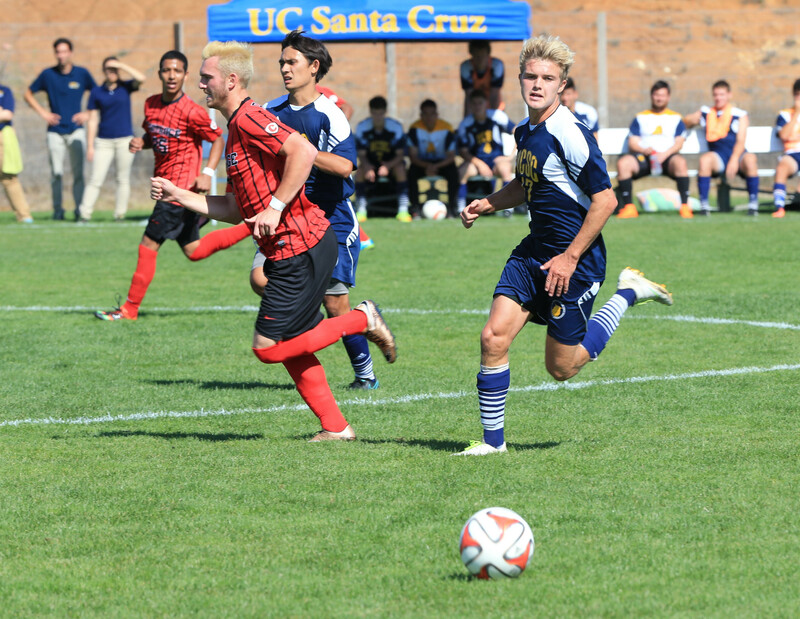 Edison Scholar Ryan Nyberg (right), 20, is a member of the soccer team at the University of California, Santa Cruz. Toluwanimi Salako, a graduate of Manual Arts High School in South Los Angeles, is another Edison Scholar who is active on his college campus. A few months ago, he launched a free web app for his fellow students at the University of California, Irvine called Antreminder that sends reminders when a class status changes to help avoid logging on multiple times to check whether a class has opened up during registration. He’s also involved in the Nigerian Student Association, National Society of Black Engineers and the fraternity Beta Theta Pi. Salako says he may have never gotten the opportunity to learn how to code at his university if he hadn’t applied for the Edison Scholars Program in 2013. He will soon be graduating with a bachelor’s degree in computer science. 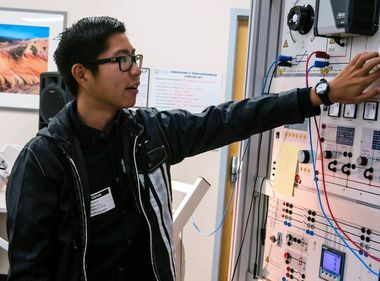 Tami Bui, SCE’s principal manager of Corporate Philanthropy, says these are the types of opportunities SCE seeks to give students pursuing STEM studies so they can have a brighter future. “Edison International funds education and invests in students because one of our priorities is helping to nurture scholars of tomorrow,” she said.